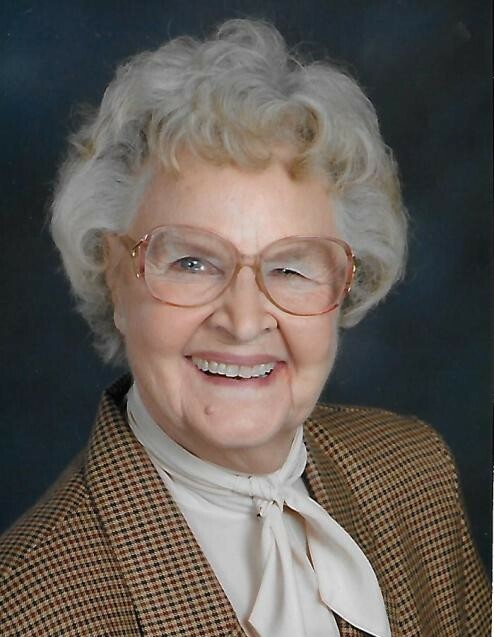 Mabel Marie (Rider) Bohrer, 88, of Kansas City, Kansas passed away on June 2, 2018 at her home. She is preceded in death by her parents, three brothers, and three sisters, and her loving husband of 69 years Harry Bohrer. Mabel is survived by her daughters, Sharon Gardner and spouse Phil Gardner, Therese Gardner and spouse Bob Gardner, Angelia Bohrer and spouse John Forson, Mary Bohrer-Hayes and her son Michael Bohrer. Mabel leaves twelve grandchildren, Brent Gardner, Craig Gardner, Brian Gardner, Tim Gardner, Joe Gardner, Pat Gardner, Laura Gardner, Jessica Forson-Enochs, Michaela Hayes, Madelin Hayes, Grant Bohrer and Carli Bohrer. She also leaves fourteen great-grandchildren. Mabel received her degree in Early Childhood Development and took immense joy working as a Montessori Teacher for children preschool through kindergarten. She was passionate about teaching children to read. Mabel opened and ran Happy Days Day Care Center. She later was the Director of Kansas Association for Child Development. She was a devoted wife, and loving mother, grandmother, sister, aunt and friend. She will be greatly missed. A Mass and Celebration of Life will be held at Christ the King Catholic Church, 3024 N 53rd Street, Kansas City, KS 66104 on Friday, June 8, 2018. Mass at 3:00 pm with celebration of life to follow. Graveside Services will be held at 2:00 p.m. on Saturday, June 9, 2018, at the Heim Cemetery in Dawson, Nebraska with Father David Oldham officiating. In lieu of flowers, memorial contributions may be given to Sister Servants of Mary, 800 N.18th Street, Kansas City, Kansas 66102, are appreciated.